Inktober for October 1st – Showing inks old and new. Here’s a Godzilla/Sally Forth mashup from last year’s Kaiju Theme Park storyline. I pasted on the lettering (which is usually done in Photoshop, not on the original) so you can see the whole gag. The last panel was done digitally so that’s a paste-up as well. As you can probably guess, this one took awhile. 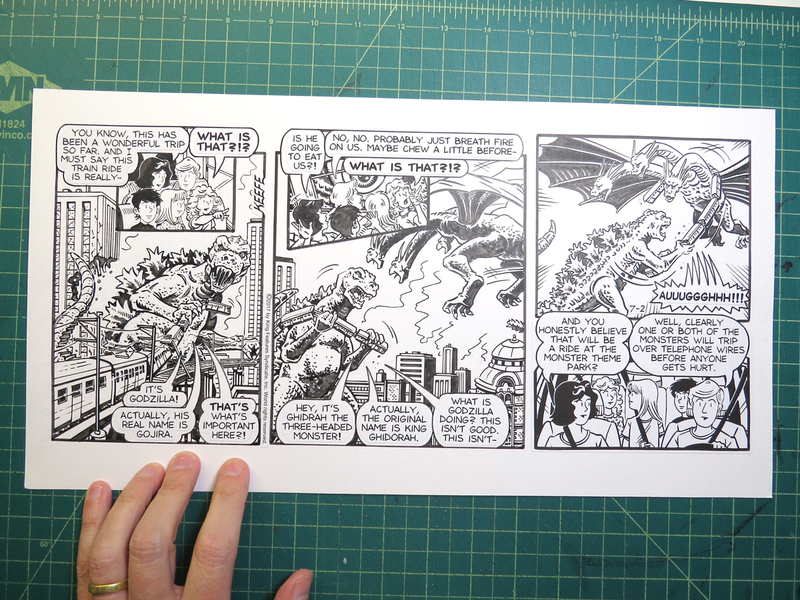 This entry was posted in Sally Forth and tagged Godzilla, Inktober, kaiju, Pen and Ink, Sally Forth. Bookmark the permalink.